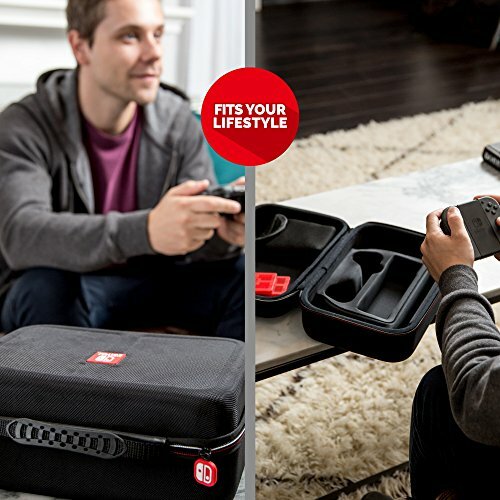 Protect and organize your Nintendo Switch System with this Officially Nintendo Licensed Deluxe Travel System Case. RDS Industries has manufactured this case to Nintendo’s stringent and high standards. 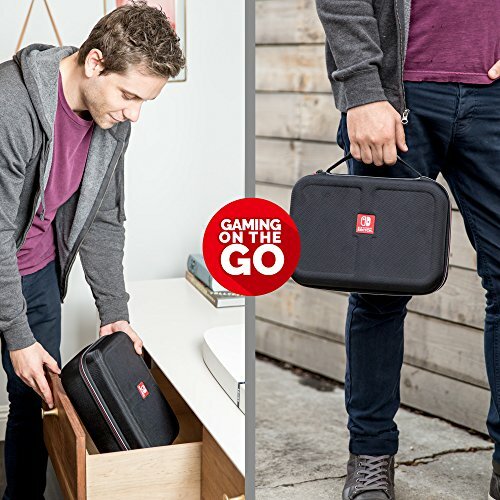 This Nintendo Switch System Case has a durable hard-shell exterior that protects against accidental drops or knocks. A vacuum formed felt-lined interior holds the system and games securely in place. 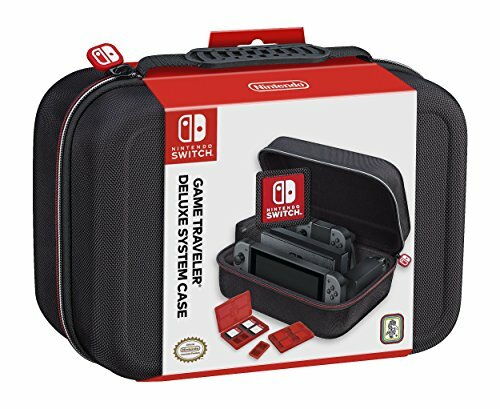 This case is designed specifically to protect Switch’s sensitive analog sticks. 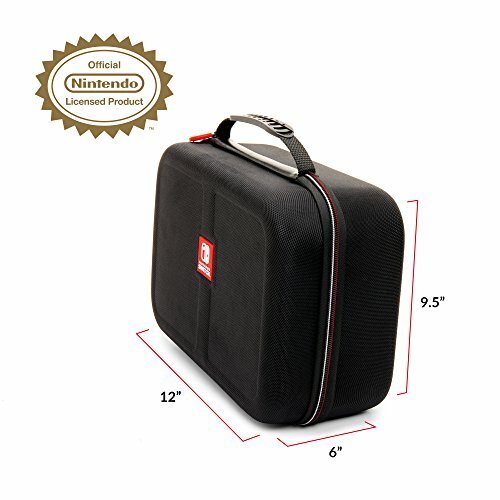 Two bonus multi-game cases are included that hold up to 8 games.RDS Industries, Inc. is the #1 Nintendo Licensed Switch case manufacturer nationwide. 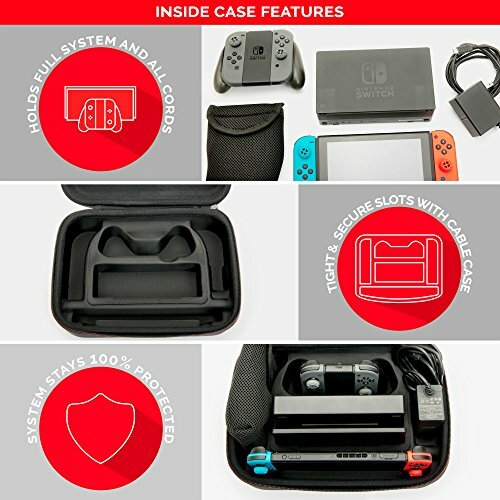 Interior: Vacuum formed felt-lined interior, holds the complete Nintendo Switch System, can also hold an extra set of Joy-Cons or a Pro Controller. 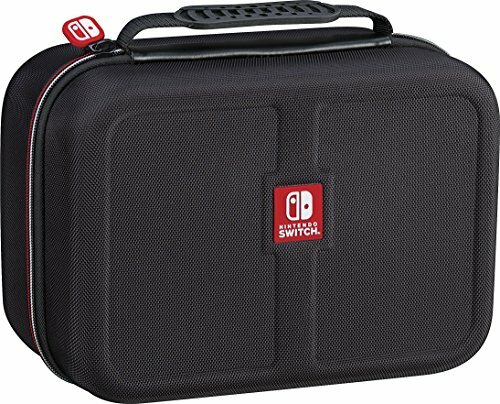 This case is specially designed to protect the Switch’s Joy-Con Analog Sticks. There is also an added case for power and HDMI cables. 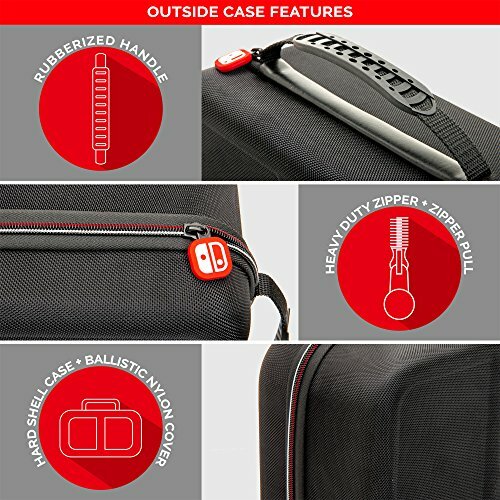 RDS Industries Deluxe Travel System Case has been approved by Nintendo’s high-quality Standards.